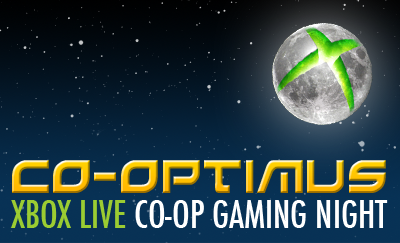 That's right, we're going back to our roots for this month's co-op night! With all the talk of Halo 3: ODST it's time to get in the Spartan mood with the original Halo 3 and its four player co-op campaign. The goal is to play through as many campaign levels as we can, work on getting any skulls you might be missing, and just generally having a good ol' co-op time! 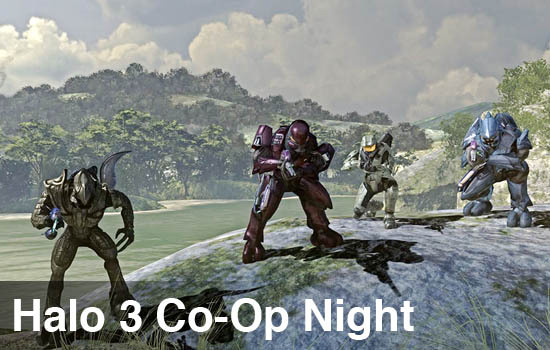 Halo 3 supports up to 4 Players for co-op play via Xbox Live. You can even play 2 players splitscreen cooperating with 1 or 2 other players over Xbox Live. Player one will control the Master Chief, player two will control the Arbiter and players three and four will control two new Elite characters: N’tho ‘Sraom and Usze ‘Taham.